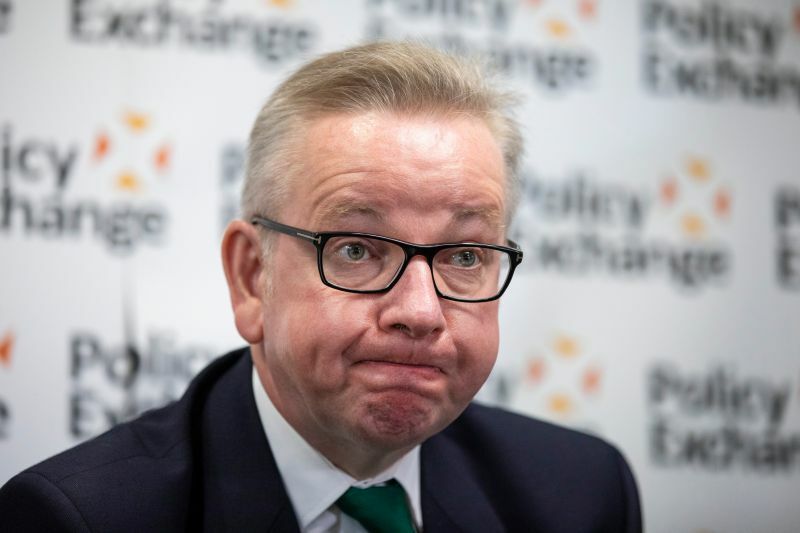 Michael Gove's comments on the need for MPs to back the Prime Minister's Brexit deal highlight the risk a 'no deal' Brexit would pose for agriculture, a farming union has said. The Defra Secretary told the annual Oxford Farming Conference that leaving the EU without a deal in place would be bad for both the short and long-term stability of agriculture. Theresa May will hold a delayed parliamentary vote on her Brexit deal on Tuesday, January 15, the BBC reported on Monday, citing government sources. Mr Gove told the conference: “A no-deal Brexit means we would face overall tariff rates of around 11% on agricultural products. But some sectors would be much more severely affected. The Ulster Farmers' Union (UFU) said these comments were all the more worthy of attention given that Mr Gove is a staunch advocate of the benefits of leaving the EU. Mr Ferguson said there was an element of realism in Mr Gove's comments that in the short-term farming and the food industry would experience turbulence on the road to Brexit. He said farmers want to see this minimised and for the focus to be on the opportunities Brexit will bring to do things differently. “These are all issues for the debate, but the most immediate threat remains the fallout from a no deal Brexit, if parliament cannot agree a way ahead. “We want certainty, but that will take time. However, we have no doubts that leaving the EU in March without a road map to a trading relationship would be a financial disaster for all farmers in Northern Ireland,” said the UFU president. During the conference, Michael Gove also came under renewed pressure to put his assurances over post-Brexit food standards in writing.